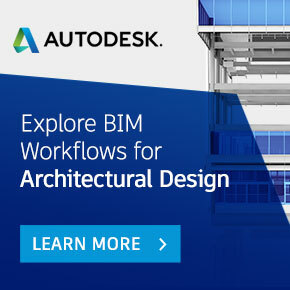 Modelling standards refer to of processes and methods on how data and information is shared among the various project teams, BIM Authoring tools and what the final output file is required by the client. Standard drawing templates, standard details, standard notes, styles and the like. Translating your existing standards into a BIM format will take some time but is essential to get them correct before starting your first client BIM Brief, otherwise the quality and style of the drawing output from the model is unlikely to be satisfactory to other staff members or to the quality of data required for the rest of the professional team. Something as simple as a designer not being happy with the way a model presents its data analysis, or not having the same clarity as those keynotes previously, can derail the implementation process and mean that BIM is abandoned. Much of the success of BIM implementation can depend on having good standards and libraries in place. A drawing format version recognized by all project parties and the client ( DWG, DWFX). Coordination: This format will be required for all deliverables needed to demonstrate the coordination of design disciplines prior to construction or the coordination of construction trades supporting the efficient fabrication, staging, and installation of fabricated building elements. In addition to the Coordination View file(s), where required, the designer and contractor shall provide a report highlighting automatically detected (hard and soft) collisions and identifying those collisions that require further work by the design or construction team. Verification of the design solution against the Program for Design (PFD). Scheduled building and equipment lists. Identification of installed equipment and all tagged building products. Portable Document Format: Copies of all approved submittals and other documents normally provided in traditional paper-based formats will be provided in PDF format. Documents authored directly by the project team shall be transformed to PDF to allow selection of text within the document. Documents authored by others, but used by the project team (such as manufacturer product data sheets) will be provided as PDFs made available by the manufacturer. If not available as PDFs from their authors, the documents will be scanned to create image-based PDF documents. ASTM E57 3D file format (for 3D laser point cloud data): Copies of approved submittals for depiction of as-built services and building conditions will be provided in ASTM E57 3D file format (conforming to ASTM E2807) unless otherwise agreed with the Design BIM Manager. In the absence of existing documented modelling standards mandated by the client, the BIM Team nominates the BIM Modelling Standards to be used on the project. Any amendments considered necessary must be documented. When the BIM Modelling Standards and amendments have been agreed by the BIM Team they are adopted and managed for consistent application by the BIM Manager. Model setup including project templates. Team member modelling protocols, including definition of authorised uses. Materials and finishes naming conventions. Properties/parameters to be included for model objects.